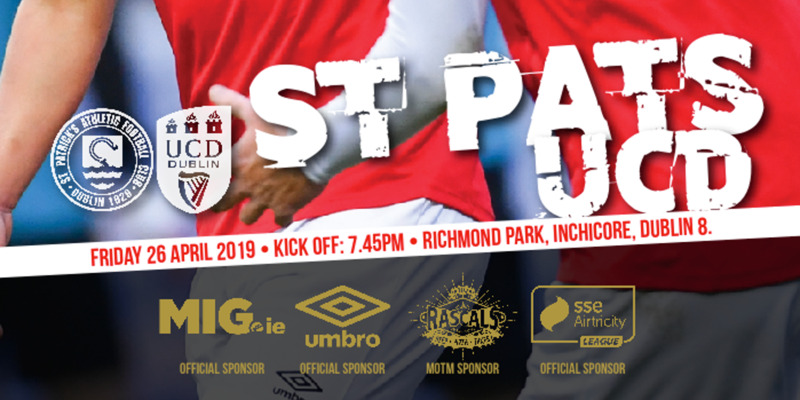 Rogers; Pender, Shorthall (Murphy 83 mins), E McMillan, Bermingham; Doyle, Bradley, McFaul, Kavanagh; Daly (Crowley 75 mins), North (D McMillan 87 mins). Dhaira; Garner, Christiansen, Sigurbjornsson, Mellor; Mawejje, F Ólafsson (Hughes 74 mins), Valdimarsson (Thorarinsson 80 mins), Jeffs (Sytnik 62 mins); A Ólafsson, Guomundsson. 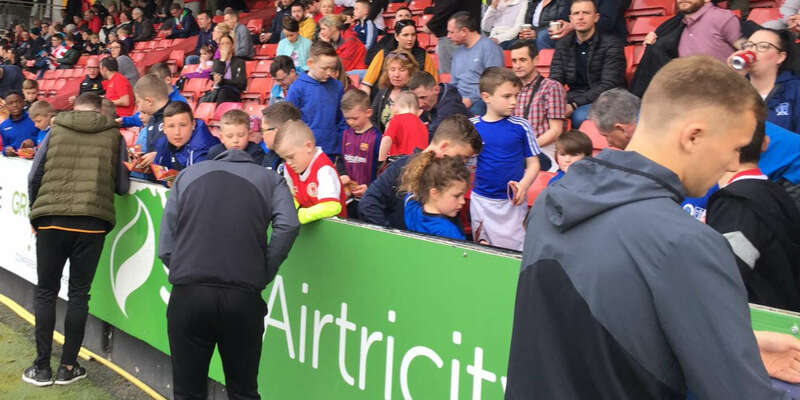 Goals from Ian Daly and Derek Doyle helped St Patrick's Athletic see-off IBV Vestmannaeyjar in the first round of Europa League qualifying in Richmond Park. 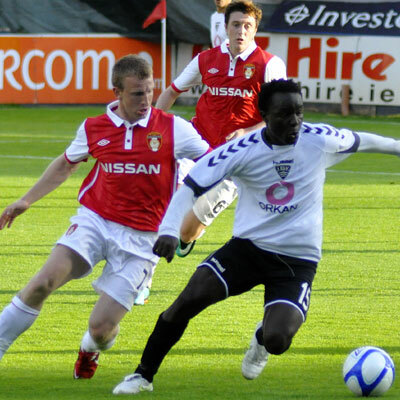 Trailing 1-0 from the first leg, Pat's were back on level terms on 24 minutes when Daly finished past Abel Dhaira in the IVB goal. Doyle headed in the second goal on 36 minutes to put Pat's ahead in the tie. They held on for the win and now meet Karandy of Kazakhstan in the next round. Pat's must now travel to Kazakhstan for the first leg next Thursday. Trailing 1-0 the Inchicore side knew that not only did they have to score, but the earlier the better. Coupled with that was the need not to concede an away goal. Vestmannaeyjar knew that getting that vital away goal would put them in a commanding position. Vestmannaeyjar started well and a good team move by them on eight minutes saw the ball played deep on the right to Thorarinn Valdimarsson. He darted goalward and slammed a low shot on target, but Gary Rogers in the Pat's goal saved well. IBV continued to threaten as the opening exchanges continued and Stephen Bradley came to the rescue when he dashed out to block a Tonny Mawejje shot on 18 minutes. 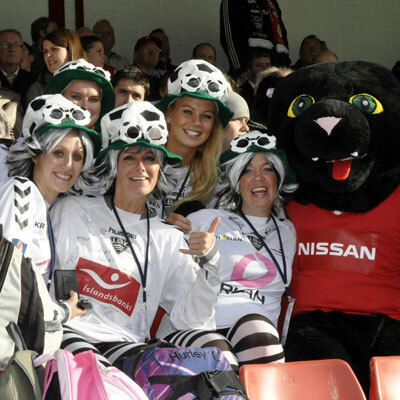 However, the home side were coming more and more into the game and took the lead on 24 minutes. 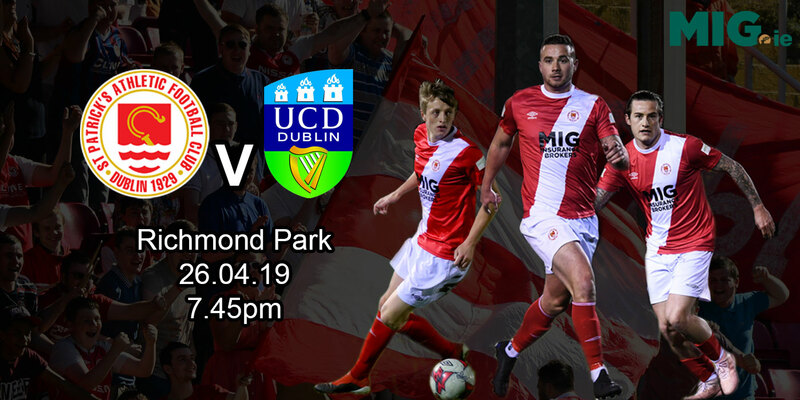 Stephen Bradley's free-kick toward the setting sun at the Inchicore end was kept in at the far touchline by Daryl Kavanagh and when Dhaira failed to deal with Kavanagh's creative return ball into the box Daly pounced to hook the ball into the net. With the vociferous crowd behind them the momentum was clearly with Pat's now and they doubled their advantage on 36 minutes thanks to Doyle's close-range header. Danny North - who was presented with his St Pat's supporters' Player of the Month award after the game - was involved before big Evan McMillan set Doyle up to finish past the well-placed Dhaira, who maybe should have done better. The opening 45 minutes concluded with a flurry of activity at either end. Tryggvi Guomundsson should have had IBV back in contention on 41 minutes, but fired wide of Rogers' goal from the left of the box. Daly nearly had his second of the night on 43 when he collected Bradley's short pass, but his shot from 25 yards was saved by Dhaira. Kavanagh and North had not been as much of a treat in the first half as Pat's would have hoped and expected, but they were more involved as the second period began. One of their best moves came on the hour and also involved Daly, but when the ball eventually came to North he missed the target. 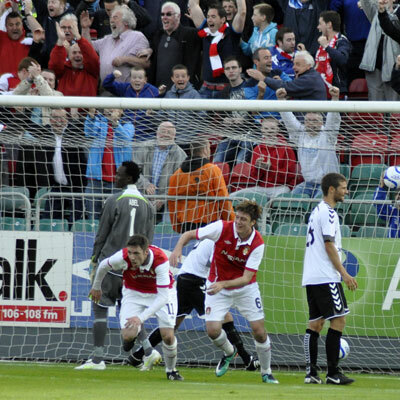 North then set Kavanagh up on 64 minutes, but Kavanagh hammered his shot wide of Dhaira's right-hand post. A minute later McMillan headed over from Bradley's corner. It wasn't all Pat's though and Guomundsson unleashed a terrific free-kick for IBV on 72 minutes, but Rogers pulled off an equally terrific save to deny him. IBV sent wave after wave of attack into the Pat's half and goalmouth in the closing stages, but couldn't find a way past a resolute Pat's defence who can thank Rogers for a series of world class saves which denied the visitors.